What a week at work. I moved from one office to another last week and still haven't completely unpacked. Unpacking seems to be an 80% activity and this week there were plenty of 20% tasks to complete. Despite all the gloom about "the market" my agents are writing deals. Way to go gang. I'm noticing many of them developing great habits that will lead to opportunities to help people buy or sell homes. It is a pleasure to work with people who are willing and eager to become professional real estate business people. One conversation I had with an agent who has deemed himself "my favorite new agent," was about the shift in real estate. His mother has been in this business since he was a child and he was remarking how this is no longer a boutique industry or people playing real estate in their spare time. It isn't. No more playing real estate. This is hard work. Just ask another new agent, Charlie. This isn't a job-- it is harder, takes more time and organization, more tenacity and will also provide more return....than a "job." The same new agent who was talking about this being the "real estate business" has come to the industry with the mindset of starting, building and growing a real estate business that down the road, he will sell. Yes, Doug, you get it. Enough realty for now. Off to enjoy a balanced life and my family. PS...might I recommend checking out my "reader items" along the side menu. Just a few of the wise bits from other bloggers out there I read. If you had a choice to make and you knew that it would damage your family? Would you still make it? If you had a choice to make and you KNEW it would sabotage your relationships, would you still make it? If you had a choice to make at work that would damage and sabotage your success in your career, maybe even get you fired, would you still make it? I'm reluctant to write a post with this negative slant to it. But I'm concerned - and last night on the radio I heard the statement regarding a completely different matter, "...make choices that sabotage your career...." and I thought of real estate and how many agents make excuse after excuse to avoid doing what it takes to advance their careers. I can't tell you how deeply I want you to care about your business, more than any other job you have had...I want you to advance, not sabotage your career. How many of us, if we had to answer to a boss every day, would choose NOT to show up to work? If you did show up and were not getting the job done, would you eventually get fired? They say 86% of people who get in to real estate will get out within a year. I can almost guarantee you that the 86% who get out, would have also been fired if they had a similar work ethic in an OTHER-employed position. Choose to be the 14% who suit up, show up and are here to stay. Let's start changing those ratios. Quit sabotaging your career. Have a frank discussion with your BOSS (in real estate that is YOURSELF) and lay out what you need to do. If you don't know, come see me, I will coach you and help you lay out the TO DO list for success. Then decide that you are going to impress the heck out of your boss. Decide that you are going to show up to work and not just PLAY real estate. Decide that you are going to do what it takes. Decide that you are going to learn every day, something about your field. Decide that you are going to be consistent with your clients. What, don't have clients? Decide that TODAY you will go get some. Decide that you will track your activity, and the results. Decide that you are going to be dedicated to your business. Decide that the decisions you make will advance, not damage your career. On that note, I did see some folks yesterday who did all of the above. Pearl- you knocked it out of the park. Julie, you said you worked so hard all day...and you did. You also followed that statement with "today I'm having a good day." Hard work is actually fulfilling. Kevin, welcome to the team. You showed up day ONE ready to accept the task at hand, and you did it! Charlie, you have also put forth the work and effort from day one and already have the results to prove it. Your BOSSES should be impressed! Judy, you came too, and did the work and it paid off. 17 of you showed up yesterday first thing for rising stars....and as Alan said, if "I were in any other job, I'd be up Monday, dressed and ready to go and in the office. So here I am, every Monday." You will be a mega in your business. Keep it up! Today I was reminded today about the "alarms" all too common in real estate. Not the kind of alarms on a house, but the alarms that seemingly go off pretty much every day in the real estate business. And at the time they sound -- loud, startling and most definitely unnerving sounds... they seem so disruptive. Remember Chicken Little? The sky was always falling, and if you aren't careful, real estate can be that way too. I remember this being common as a new agent...and was reminded of this all to familiar feeling by one of my newer agents and a situation with a buyer's rep agreement. Last month, I had 2 agents involved in a deal with a funky and completely incorrect appraisal situation. I remember one of the agents sounding the alarm. He was only repeating the alarm he was hearing in his own world...not to mention the alarm his clients were feeling. In both of these situations, I never really FELT the alarm. The experience in me KNEW that the appraiser was inept if she was comparing lake front frame homes to mobile homes and that in the end, while it might take a few days, the deal would close and there would be a legitimate appraisal to justify the contract price. Today, I KNEW that most likely this agent's client would not leave her hanging. That something else must be going on and she would find out the whole situation when they spoke. But, how did I KNOW theses things. I have to say, it could only be from time and experience. It was only because of the countless times I fretted over a mild (I didn't realize it was mild at the time) inspection report, or completely and silently freaked out during negotiations because I'd yet to hear back from the cooperating agent. Somehow, over time I realized that my job wasn't selling real estate. It wasn't helping people buy homes. My job was actually solving problems... some fun to solve (matching a buyer with a home and bridging a negotiation gap)..and others a little more of a pain (this list is really long). In the end, the fun ones are easy, but the other problems I've solved are the ones I'm most proud of. They are the reason I consider myself "really good at what I do." So for my newer agents... It is only natural during unfamiliar situations (and ones involving someone else's well being and lots of $) that the trepidation of the bumps along these unfamiliar roads might be amplified. Amplified is an understatement at this stage...they will FREAK YOU OUT...and that is why I am here: to remind you to take a deep breath. Then take another. Then call your mentor, your coach, your team leader and seek council. Seek support and advice from those around you, and seek for solution inside yourself. I'll bet you know inside the way to approach the problem. This is the best part....every time the alarm goes off, after a little venting and a few deep breaths, I've seen my agents silent the alarm and calmly address the situation- the solution being within every time. In time, you recognize the alarms for what they are....and in the mean time, I'm here to help, listen, and advise. And know, that I LOVE that you care enough about your clients, and your transactions, and your businesses to do a good job, to be concerned, and to want it to be right. That is what will make you great REALTORS! Click on the photos for MLS links. This is one I love down the street from mom and dad's. You would never be able to tell it has 6 bedrooms and 5 bathrooms. I drool every time I drive by. Always post the maximum amount of photos, and take good shots. If you are camera inept, hire a photographer. Do this for your listings in ALL price ranges. Treat your clients fairly --and simply provide excellent service. In this case, excellent marketing. (HOW these people get these listings in the millions and get away with only one or two lame photographs, I will never understand). A virtual tour is a must as well. It makes your listing "sticky" and the longer they linger at your listing the more likely you are to get a lead. At minimum, use the KWLS or your own site to post as many extra photos that highlight the property in a positive way. Post your sellers disclosure, survey and any other supporting documents on the listing under media. Have this information available to the other agents who will be showing your listing. Make it EASY for them to make an offer by providing everything they need within the listing. COMPLETELY fill out the MLS listing. While only certain fields are required, fill out everything you can. Give a complete picture of the property. Oh, so the other listings we were looking at were luxury listings? You want to know how those agents get the luxury listings? They do the same for their less expensive listings too. 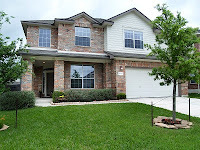 Click photo for link to virtual tour. It is your responsiblity to represent your client's best interest. Do the BEST marketing you can and with out a doubt, POST the MAXIMUM amount of photos allowed. One last listing to lust over. 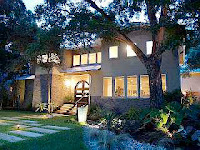 I love the dusk photos with the house all lit up and the contemporary re-do. Click photo for the virtual tour.